Peace & tranquility await you in this Lindal Cedar Siding Home. Located near the cul-de-sac is this freshly painted inside & out home w/HWD flooring thru-out. No carpet & tile floors in BAs. Open concept floor plan makes you feel like you are in the tree tops. 2-story GR windows bring in so much natural light. 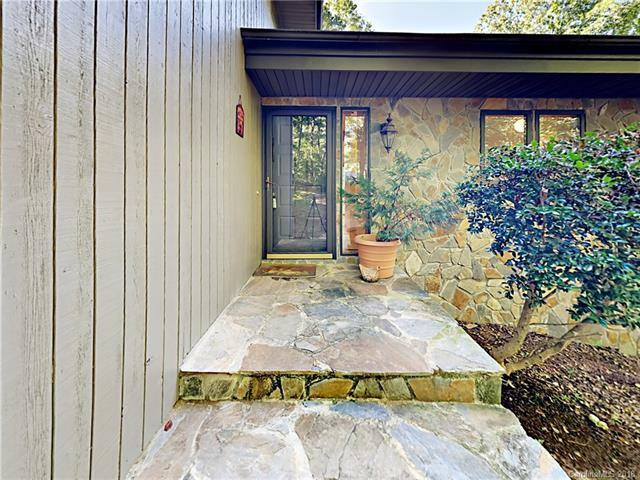 This leads to a full-length back deck that has new decking w/an extra bump out for entertaining. 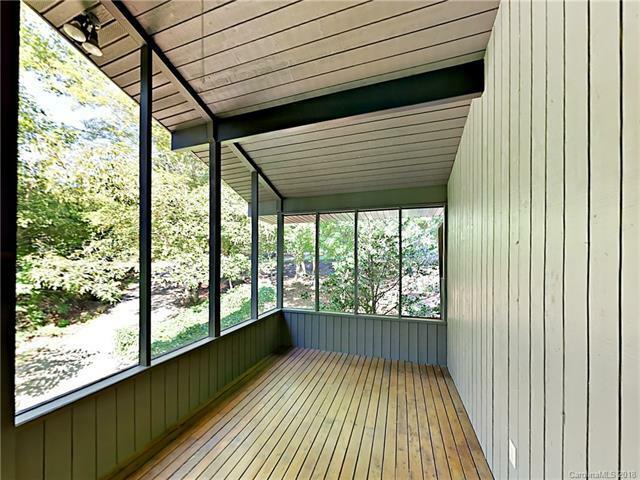 There is also a 21x9 screened porch off the dining area w/screening below floor as well. 2 main floor BRs w/a master ensuite loft on 2nd level complete w/jetted tub & tile walk-in shower. Bsmt has plenty of storage and potential plus a separate 2-car garage. There is also a large lower deck too. Are you a golfer? Driving range & golf course are just a short distance away, as well as one of the outdoor pools for those swimmers or cooling off, relaxing days. Many other amenities are a short drive away. 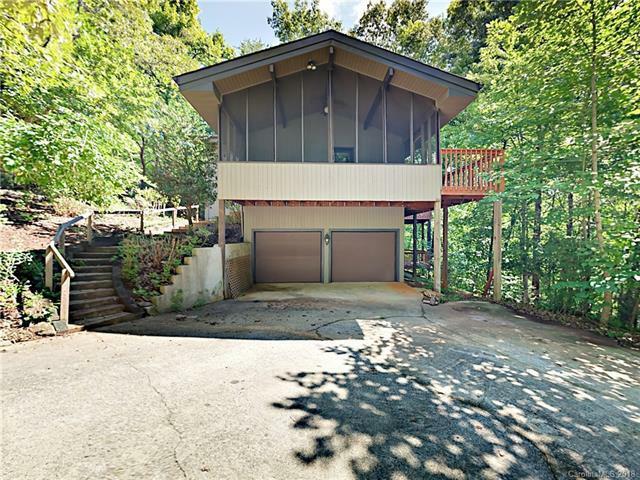 With a bit more updating & TLC, this could be your dream home. 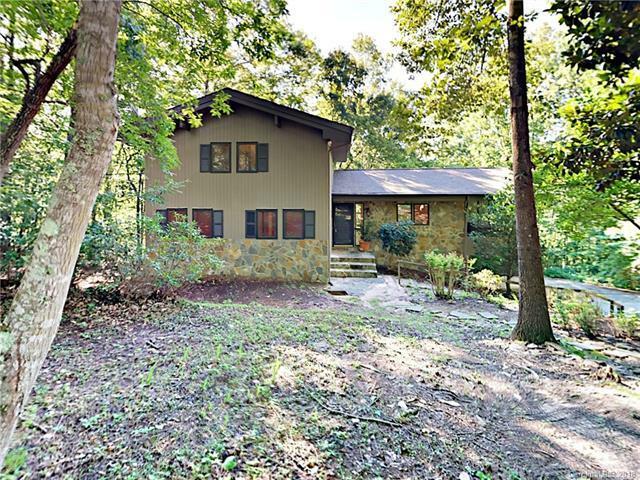 Offered by Weichert Realtors Mountain Executives. Copyright 2019 Carolina Multiple Listing Services. All rights reserved. The data relating to real estate on this Web site derive in part from the Carolina Multiple Listing Services, Inc. IDX program. Brokers make an effort to deliver accurate information, but buyers should independently verify any information on which they will rely in a transaction. All properties are subject to prior sale, change or withdrawal. Neither Carlyle Properties nor any listing broker shall be responsible for any typographical errors, misinformation, or misprints, and they shall be held totally harmless from any damages arising from reliance upon this data. This data is provided exclusively for consumers' personal, non-commercial use and may not be used for any purpose other than to identify prospective properties they may be interested in purchasing. © 2019 Carolina Multiple Listing Services, Inc. Data last updated 2019-04-24T23:58:43.933.